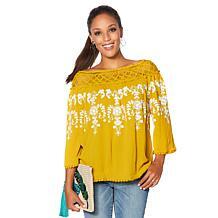 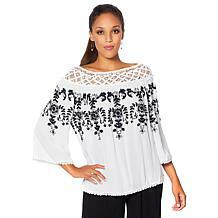 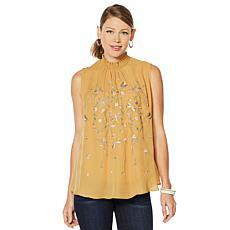 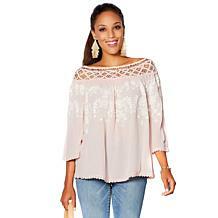 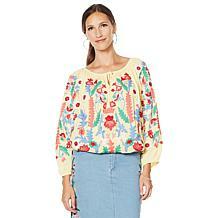 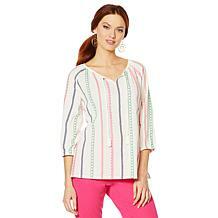 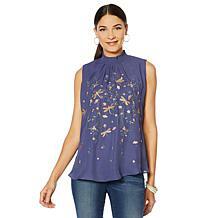 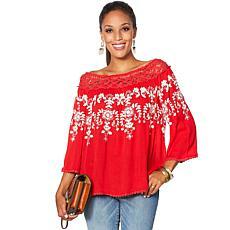 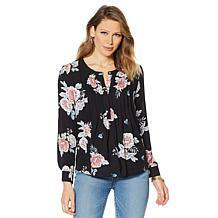 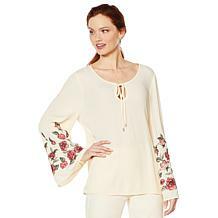 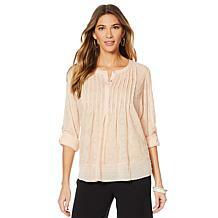 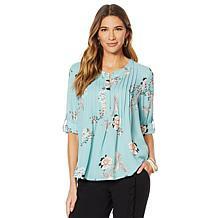 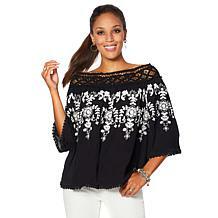 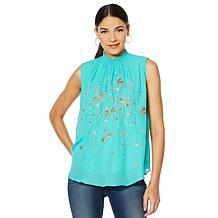 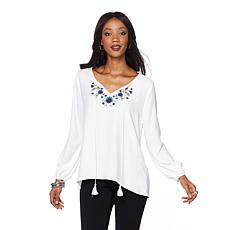 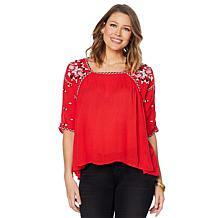 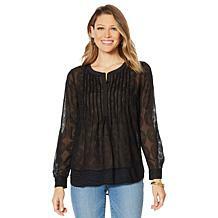 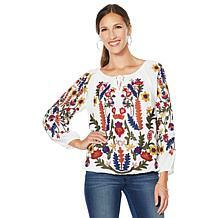 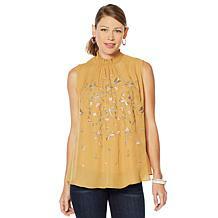 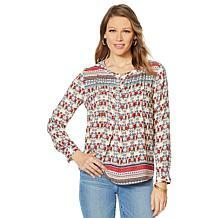 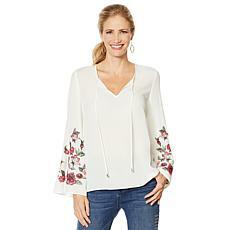 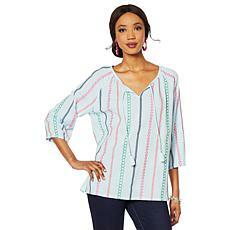 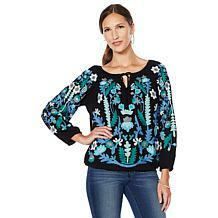 Polish off your pretty wears with a blouse that's beautiful. 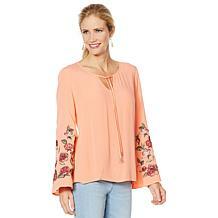 Embroidered details in a floral design capture the cool so you don't need to bolster the accessories. Just throw it on and go!